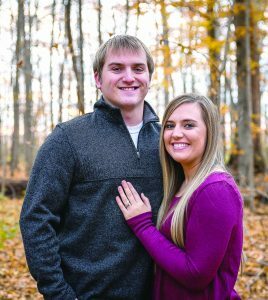 Mr. and Mrs. John Beltz, of Forest, are pleased to announce the engagement and upcoming wedding of their daughter, Amber Nichole Beltz to Adam David Fox, the son of Mr. and Mrs. David Fox, of Forest. The couple are 2013 graduates of Riverdale High School. Amber is a 2017 graduate of Rhodes State College, and is currently employed as a registered nurse at Good Samaritan Society of Arlington. Adam is currently studying at Ohio Northern University Raabe College of Pharmacy, where he plans to graduate in May of 2019.
the wedding ceremony is planned for July 20, 2019.